VA Healthcare is a supportive and efficient system in our experience to date. We are grateful to be so fortunate. Like I mentioned, the PEG is usually outpatient work, but I'm going to be admitted for 3 days. We were just scheduled for Wednesday June 1 June 8, for check-in. The procedure is on Thursday and I'm back home with the girls the next day. Enjoy Memorial Day weekend, we will be with family and loved ones so I know I will! As I mentioned in my last post, I've been having some difficulties with choking lately. It is mostly when taking my copious supplements, often when drinking, and sometimes eating. My diet consists mostly of rice, vegetables and protein all finely chopped. I generally don't have difficulty when eating these meals. It's other foods -- pizza, burgers, salads, etc that I struggle with. Two things at play here, my tongue does not have the strength to move a lot of food around in my mouth -- so food gets stuck to the roof and in the sides. The second is the interactions between the epiglottis and hyoid bone in the larynx region. 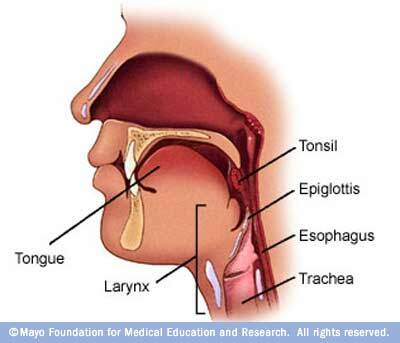 When I swallow the epiglottis does not completely close off the airway, so food and liquid can sneak into the lungs. My throat is also smaller, so when the food does go down the right way it can get stuck. With Bulbar onset ALS (first symptoms are mouth and throat) the biggest risk to long term survival is pneumonia. There are several types, the one we are concerned with occurs when food and excess liquids end up in the lungs. The body knows how to deal with this generally, but excessive exposure can lead to lung dysfunction. The solution is a PEG (Percutaneous Endoscopic Gastrostomy) more commonly known as the insertion of a feeding tube. I will be having this procedure done in the next few weeks. It is generally an outpatient procedure -- but I will spend a few days in the hospital as a precaution. I watched a video on the procedure and care of the device. It is very straight forward and within a few months they will remove the tube and replace it with a port that promises to be unobtrusive. I can still eat and drink after the procedure, but I will be able to take my supplements via this tube which will really minimize the effort, discomfort and risk that comes with trying to down my pile of pills. In addition to pills and water, food can be liquified and delivered via a small pump when desired. This along with swallowing strategies like tilting my head forward will help me keep my weight and nutrition up. The last few weeks I've been getting setup through the VA. They have a great team dedicated to spinal and brain patients and I've had meetings with physical, occupational and speech therapists. Any equipment I may need in the future as well as about half of my supplements are covered by the VA. The Paralyzed Veterans of America have been very helpful in getting me in the system -- a major difference from when I tried to visit the VA a year ago. Our disability also transitioned from short-term to long-term. It was a few weeks of uncertainty when we found out that the insurance company had an open investigation into the possibility of a pre-existing condition in my case. We were quite happy last week when we found out the news that the investigation was closed and payments resumed. I've also started to supplement my acupuncture treatments at Northeast Community Acupuncture. They have a sliding scale from $15-40 per treatment. I'm receiving work along the same points as in China. This is really helping out with both cost and convenience. I'm still seeing Donna Peterson @ New Medicine Acupuncture every other week while going to Northeast 3 times a week. I'm also receiving bodywork from my wonderful wife, Margit -- as well as other practitioners 3-4 times per week. We are very blessed and fortunate to receive so much support. We are strong in our resolve to do whatever it takes to fight the progression of the disease. My speech has not returned to the level it was when I left China, my upper body strength is quite reduced and I'm struggling with choking while I eat and drink. I also tire easily. But I am still mobile, I'm able to ride my bike and I'm mostly intelligible.